Spicy Zucchini Frittata first caught my eye on a blog called The Bitten Word. Zach and Clay adapted the recipe from the one in the July/August issue of Whole Living Magazine. Usually, I take the seeds and the veins out of jalapeno peppers, but I followed the recipe and just sliced the jalapeno, seeds and all. That, my friends, is the spicy part of this frittata! It really had quite a kick, which Bob liked. Leftovers seemed even hotter the next day. If you like things a bit more mild, just cut the jalapeno in half and remove the seeds and veins before slicing. The recipe calls for 1 cup of corn kernels. A google search tells me that it takes 1¼ medium-sized ears of corn to get 1 cup of kernels. So you’ll probably need 1 large or 2 smaller ears of corn if you’re using fresh. I used frozen corn kernels. (I like Trader Joe’s organic frozen corn.) There’s no need to defrost the corn if you’re using frozen. 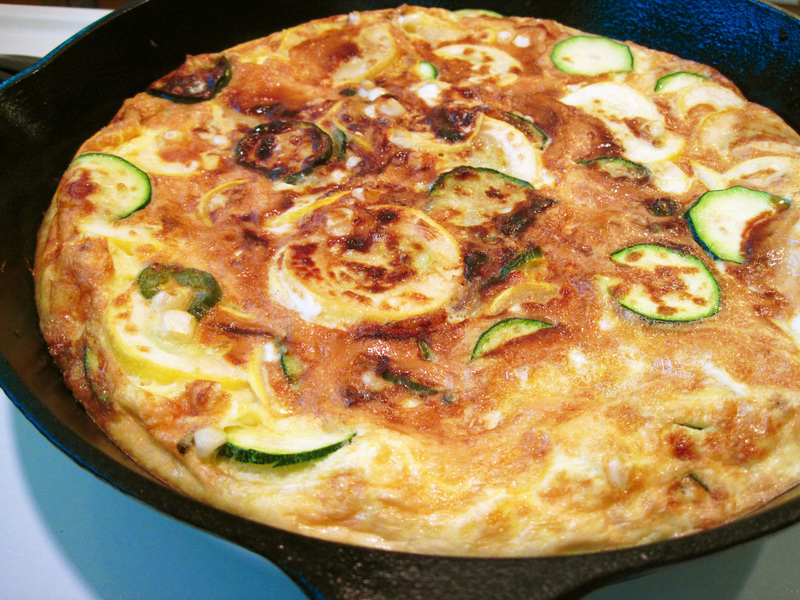 This Spicy Zucchini Frittata recipe is a keeper. I like the punch that the jalapeno gives it. The corn offers a nice textural contrast with the zucchini. I made it for dinner, but it would also make a great breakfast or brunch dish. I’ll definitely be making this one again. 1. Heat the broiler and put the oven rack 5 – 6 inches below the broiler coils. 3. 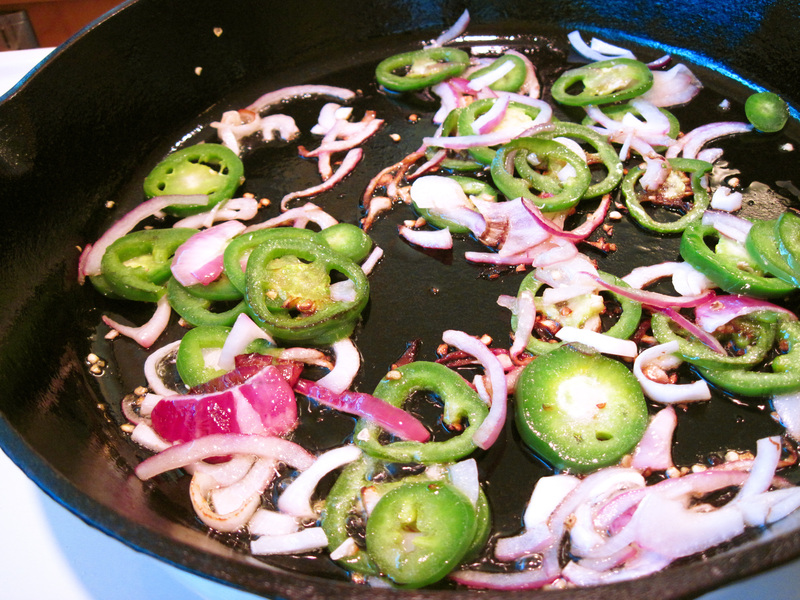 Add the onion and jalapeno and cook, stirring occasionally, for about 5 minutes. 4. Add the corn and the zucchini. Cook, stirring occasionally for another 6 – 7 minutes. Season to taste with a sprinkling of salt. 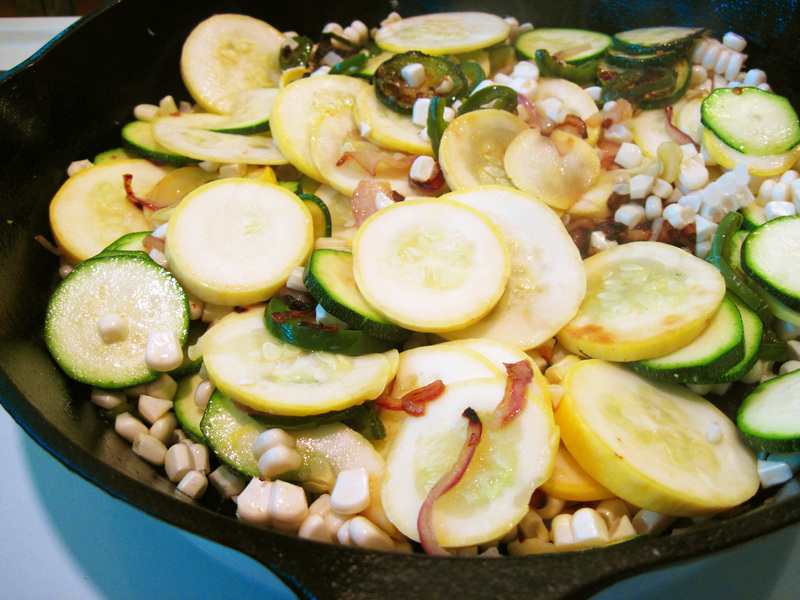 I used half zucchini and half yellow summer squash. 5. Beat the eggs and the ½ teaspoon salt in a bowl. 6. 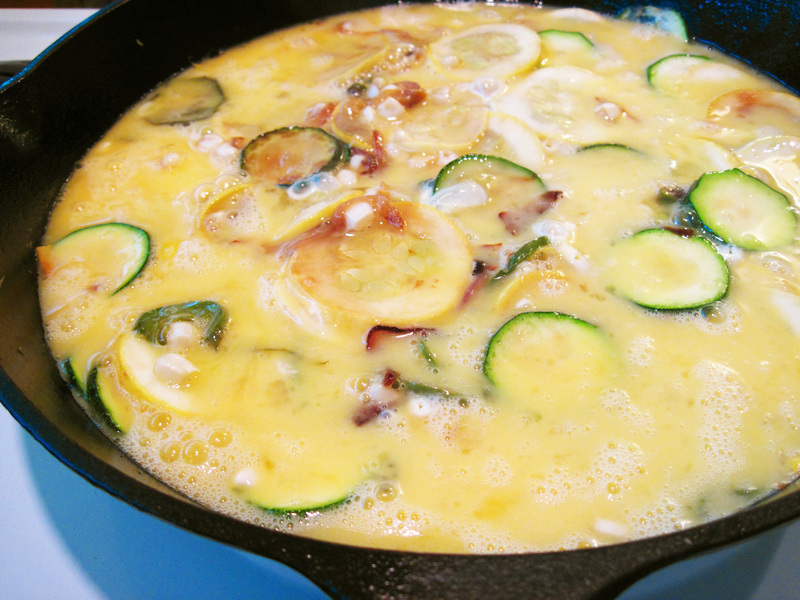 Pour the eggs into the skillet and cook for 5 – 6 minutes, until the sides are beginning to set. 7. 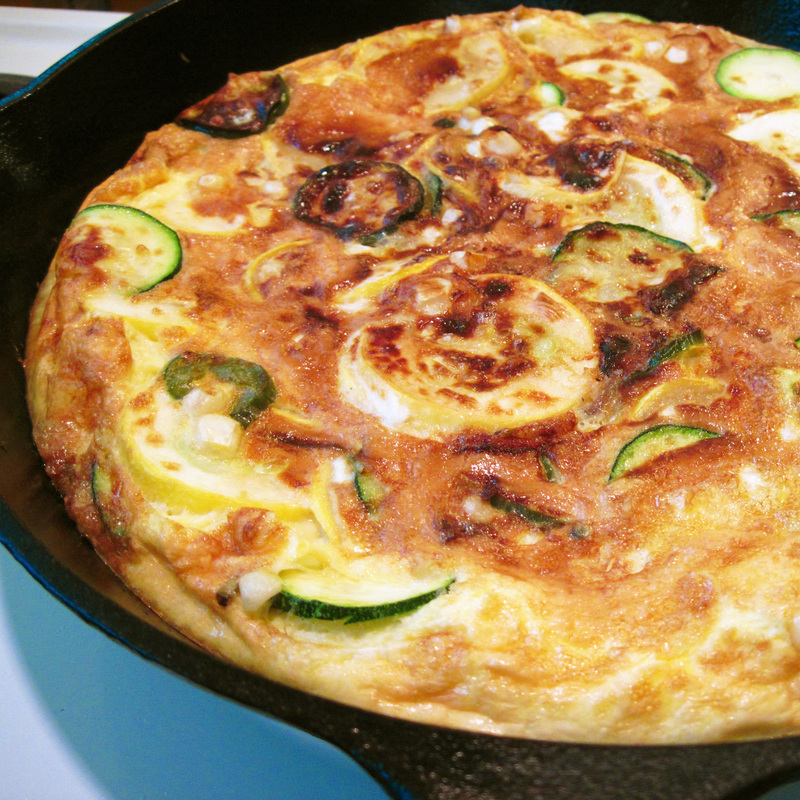 Put the skillet in the oven and broil for 2 – 3 minutes until the frittata is set and browned a bit. Serve warm or at room temperature. What a unique frittata! I love the addition of both the corn and the pepper. 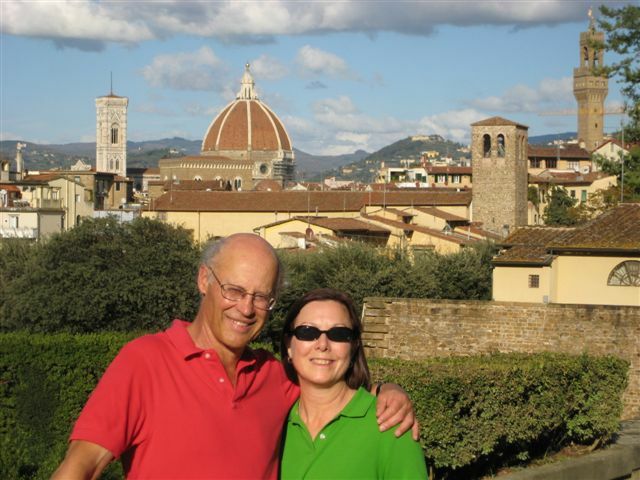 Thank you for sharing…this would be great to serve to my out-of-town guests!